“Sudhouse, a beer hall and social club, will open on May 22nd, 2015 at 1340 U street in NW. This will be the area’s newest neighborhood-style bar. Featuring domestic and craft beers, classic American fare, pool and Big Buck, Sudhouse aims to be your new hangout spot to imbibe with friends. Sudhouse is the very first concept created by Farout and will have a tasty selection of both hearty and small plates like home-made five alarm chili and organic farm fresh salads. It will be a perfect place to relax and embrace the wonders of the U Street Corridor. Managers and co-owners Simo and Allison Farouidi have been in the industry for over 15 years and felt the U street Corridor needed a classic “mom and pop” style bar and grill. Their combined industry knowledge and passion for authenticity will elevate the space into a multi- use venue that thrives on new experiences and warm social gatherings. 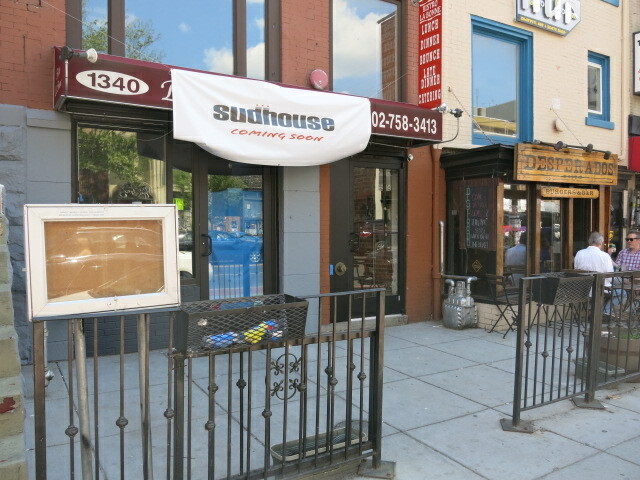 Located steps away from 14th and U Street, Sudhouse will be open Tuesday to Sunday in the afternoons. It will be an ideal spot to relax, enjoy a pint or two and some classic American food. The exposed brick and industrial structure in the 2000 sq. ft. loft style space will take you back to the simpler times when a barkeep was your therapist and the drinks were uncomplicated. With 3 floors and 2 bars, it will have ample space for late night happy hours with friends or your own private event. Sudhouse will aim to be your favorite place to laugh, drink, eat and revel in the welcoming environment and the friendly staff that genuinely believes the guest comes first.